The FBI released information regarding two new top ten fugitives. 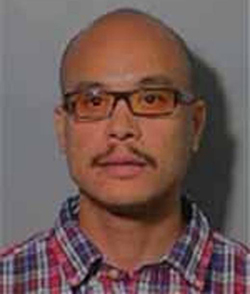 Philip Patrick Policarpio (seen the above photo) is wanted for the murder of his pregnant girlfriend in Los Angeles on April 12, 2016. At the time of the killing, Policarpio was on parole for a conviction in 2001. 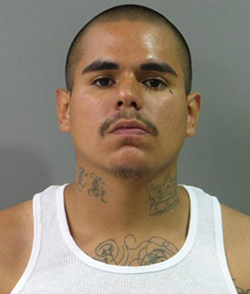 Also added to the Top Ten list is Luis Macedo (seen in the top photo) , a Latin Kings street gang member from Chicago wanted for the murder of a 15-year-old boy in 2009. Macedo led a group of gang members who beat the victim with a baseball bat, shot him, and then set his body on fire. Twenty-one years old when the murder occurred, Macedo had already been an active gang member since he was a young teen and was in charge of the street crew that set upon the 15-year-old, who was not a rival gang member but was in the neighborhood visiting his girlfriend. “The murder was classic mob mentality,” said Patrick Johnson, a Chicago Police Department detective who is a member of the FBI’s Violent Crimes Task Force in Chicago and who has been working to locate Macedo.